10in x 12in x.025 metal with four mounting holes. 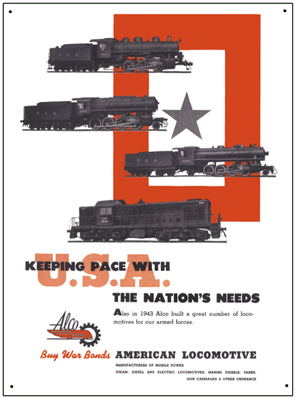 Unique reproduction of an advertisement ran by the American Locomotive Company during World War II. Click on image for zoom.